St Pelagia's, a Roman Catholic Magdalen Home and Mother and Baby Home was founded in 1889 at Stepney Green and was run by the Sisters of the Sacred Hearts of Jesus and Mary. In the early 1890s, the establishment moved to premises at 25-27 Bickerton Road, Highgate. By 1897, the home could accommodate up to 40 'mothers, with their first illegitimate children, after confinement... [and] others lately fallen.' In around 1898, the home acquired a neighbouring property and was completely rebuilt, with 100 places then provided at the establishment. The inmates at St Pelagia's were expected to remain for twelve months, with payment was 'according to circumstances'. They were occupied in needlework and laundry work. 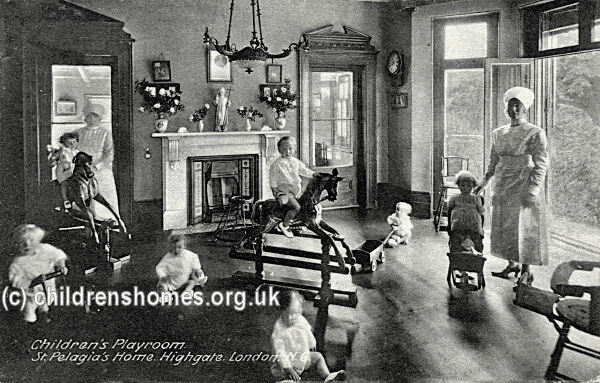 In 1918, new premises were acquired for the home at 34 West Hill, Highgate. The site actually comprised two adjacent properties — West Hill Place, fronting onto West Hill, and Green Bank, with its entrance on Merton Lane. West Hill Place was developed into the Sacred Heart Convent, with Green Bank providing the new accommodation for St Pelagia's, initially housing up to 50 inmates. In June 1928, Cardinal Bourne opened a new wing for St Pelagia's for an additional 70 inmates. Major extensions to both buildings were carried out in 1934-35. 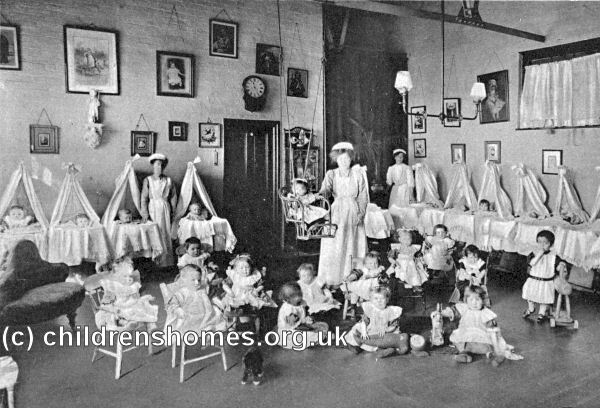 In 1948, Mayfield, an adjacent property to the north was also acquired for use as the 18-bed St Joseph's Maternity Home. St Joseph's provided ante-natal care and all the facilities required for each mother's confinement and delivery. St Pelagia's then acted as an after care home. In 1949, the two establishments could accommodate 80 mothers and expectant mothers, and 65 babies. The mothers typically stayed four weeks at St Joseph's and then three months at St Pelagia's. The West Hill site is shown on the 1952 map below. St Pelagia's Home site, West Hill, Highgate, c.1952. Both homes closed in 1972. The West Hill buildings no longer survive. The Bickerton Road building is now used as business premises.